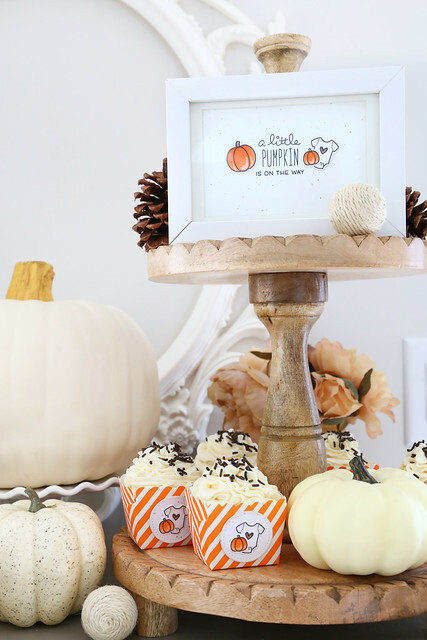 I combined pumpkins from Happy Harvest with the little onesie from Little Bundle to stage this pumpkin-themed baby shower. I kept the color scheme neutral, with just a few brighter touches of orange. I love that it's not too overpoweringly ORANGE. 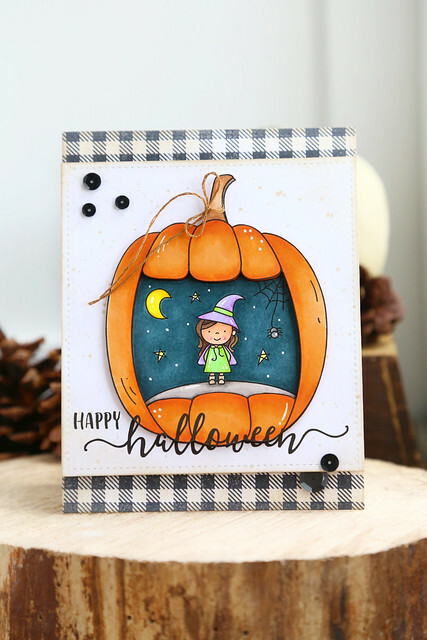 I used bright straws to compliment the color of the pumpkin, but layered it onto a more neutral mat (from Perfectly Plaid Winter.) 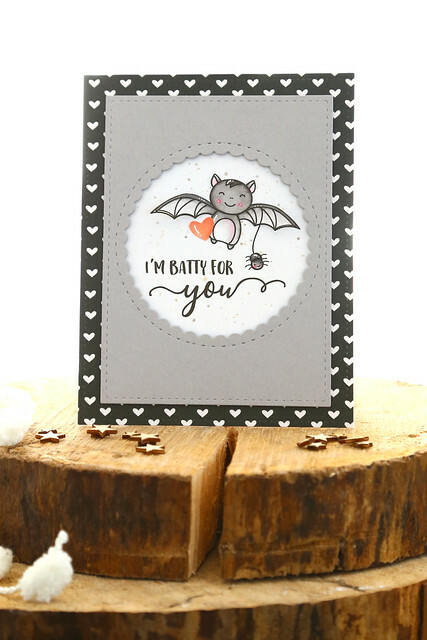 The tag shape is from the Small Stitched Envelope die set. I'll definitely be using this label on more party decor in the future. It's the perfect size and shape! In case the party theme wasn't completely obvious on its own, I created a little framed art-piece for the table. I used Milo's ABCs, together with sentiment pieces from Little Bundle to make it. 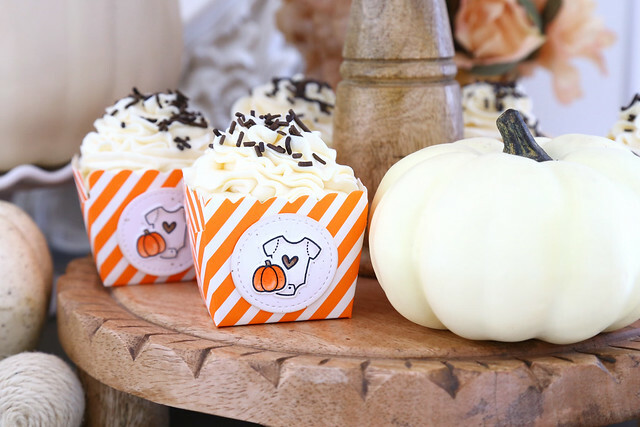 I purchased these little striped baking cups and embellished them with the onesie and tiny pumpkin images. 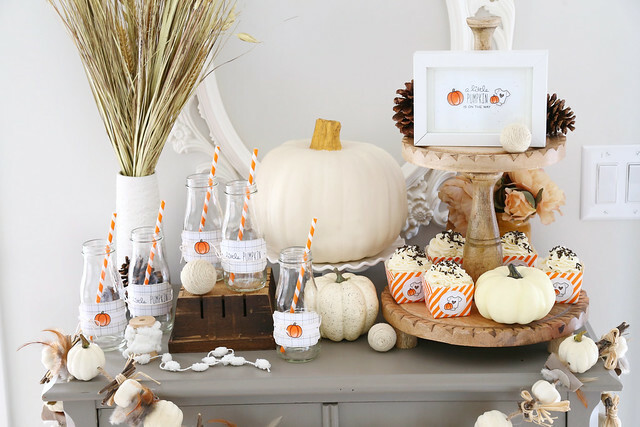 Any chance you get to reinforce your party theme will make the entire table come together! Just to add, when putting everything together, I used wonderful products sent to me by Scrapbook Adhesives. I especially love their tape runners. No more messy, gluey fingers for me! 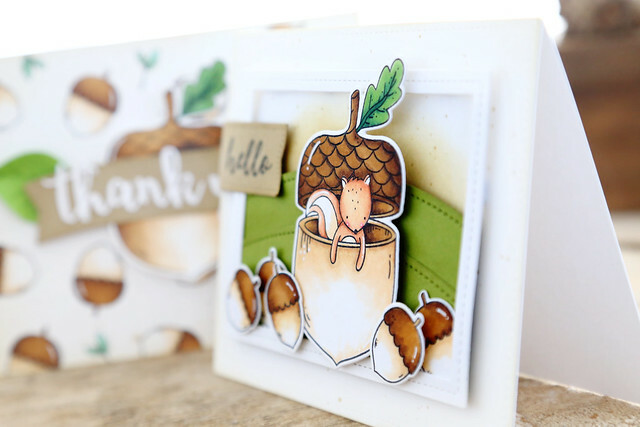 Lawn Fawn inspiration week is winding down, with a close look at the new Small Stitched Envelope die. Hey there! Lawn Fawn inspiration week continues! 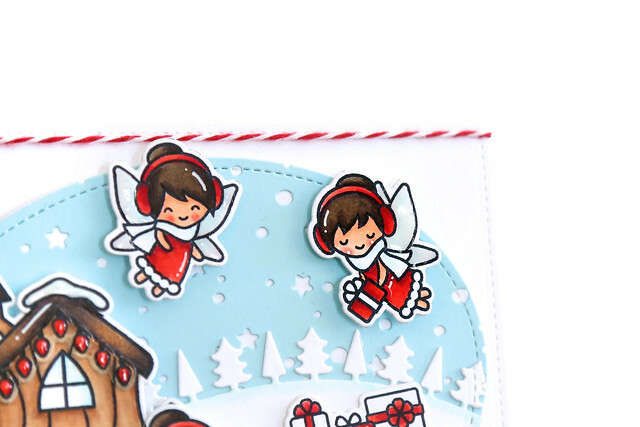 Today, we're showing off the crittery holiday set, Cheery Christmas. 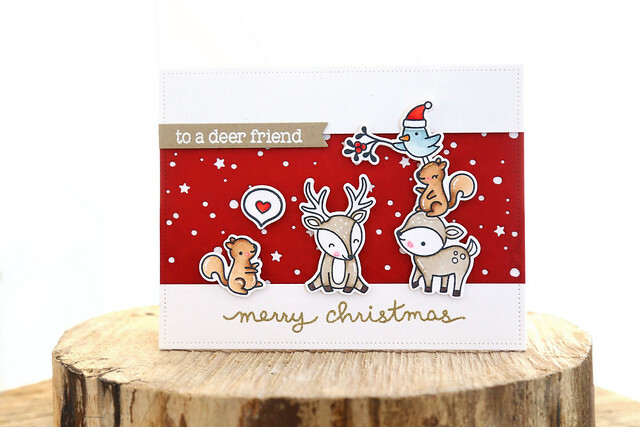 I went for a punch of color with a deep red background, cut using the Snowy Backdrop die. The little stacked animals are the cutest! As I often do, I used a black copic-friendly pen to draw in all of the intersecting lines so that the animal totem pole would look as seamsless as possible. I created a few new designs for the Etsy digital stamp shop, just in time for Halloween crafting. 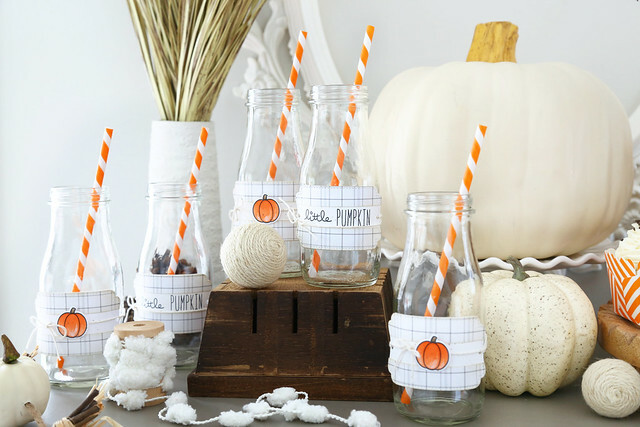 Because, by the beginning of October, everyone switches over to Christmas crafting, right? HA. 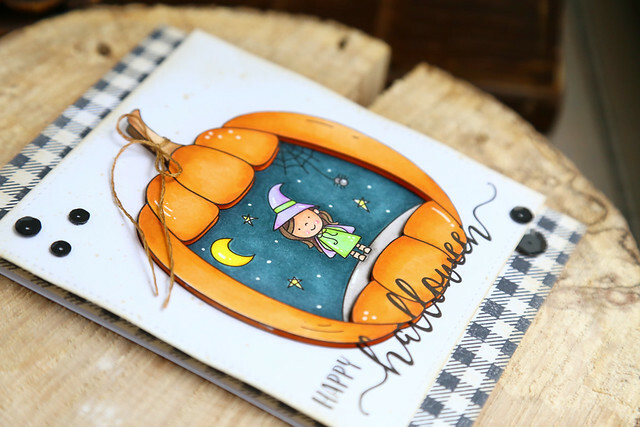 The carved-out pumpkin image is home to a cute little witch and her spidery friend. I printed it twice so that I could fussy-cut and pop up the pumpkin outline. I think this is just the cutest. And so big! 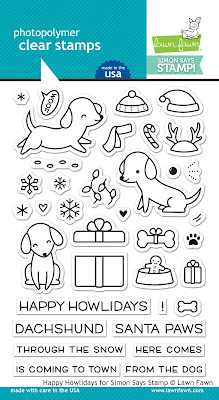 That's the beauty of working with digi stamps, you can keep the image this large, to cover the entire card-front, or shrink it down if you'd like to use it on tags or mini treat boxes. One of my favorite images has to be this little bat! 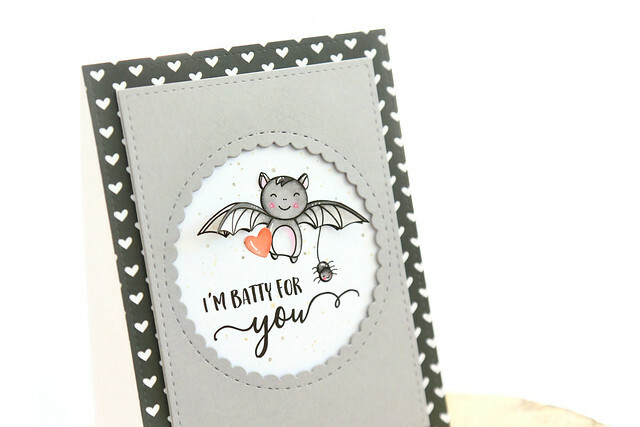 I paired him with the spider and a little heart - the softer side of Halloween! I also printed this image 2 times - so that I could glue the bat's body down but curl his wings a bit. He looks like he's flying! I hope you check out the shop - thanks for your continued support of my little Etsy shop. 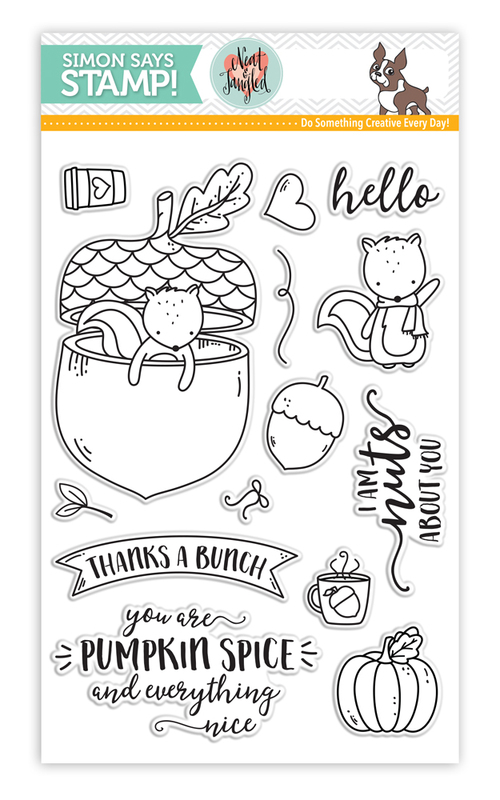 The more you spread the word, the more I am encouraged to keep offering digi stamps to you! Hi there! 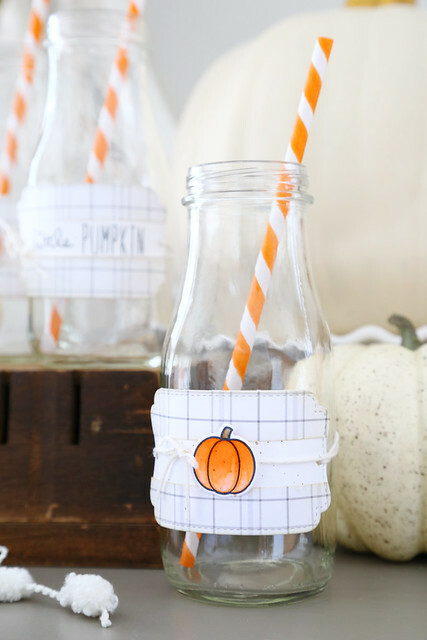 Lawn Fawn's September inspiration week is in full swing! Today, we're showing off the Perfectly Plaid Christmas paper collection. 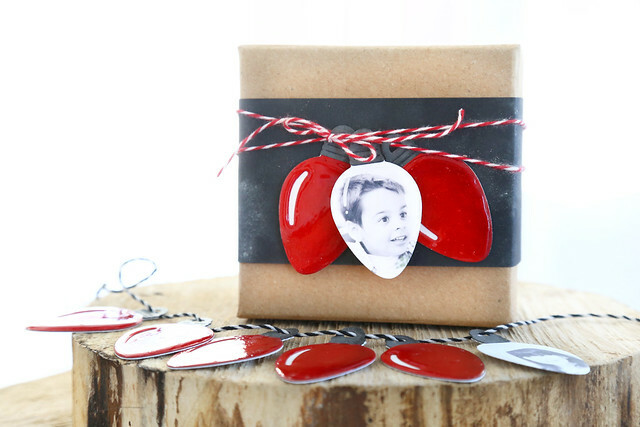 I rounded up alllll of the reindeer (from Toboggan Together and Cheery Christmas) and had them peek out of little framed squares. Since the plaid is so busy, I keep the colors to a tight red, kraft, and green scheme. The square backs were colored in green to give the reindeer some pop, although I think I could have found a better matching green! Hi there! 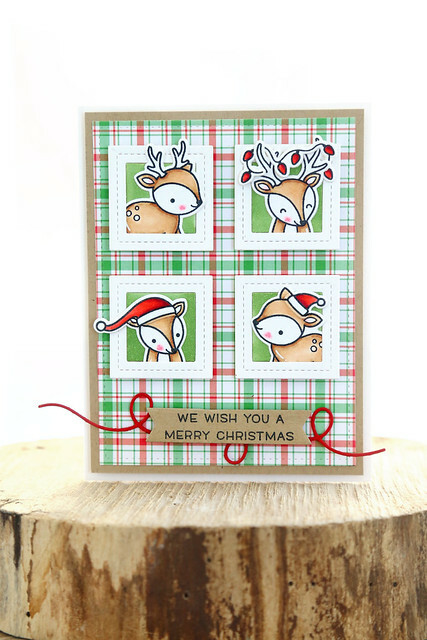 The Lawn Fawn design team is showing off new dies today - String of Lights, and Narwhal and Friends. 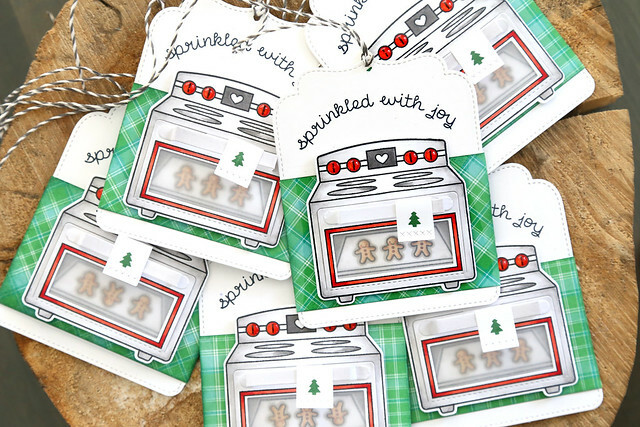 I used the largest Christmas light die to create tags for gifts. I found and re-sized some pictures of my kids, turned them black and white and printed them right at home before cutting them out with the dies. 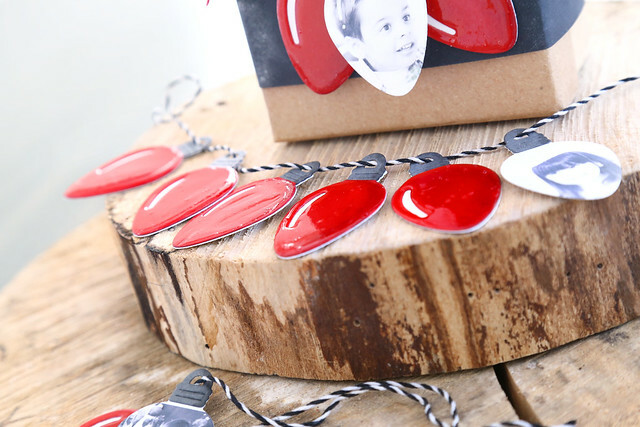 The Christmas lights look so great with a thick layer of gloss! I hope you like this idea! 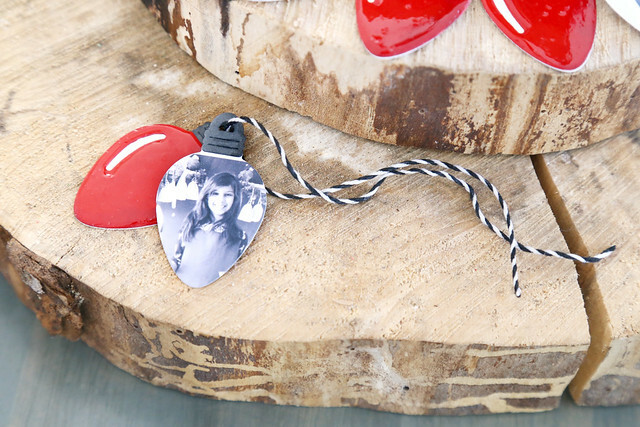 It's a quick and easy way to make tiny tags for smaller gifts. 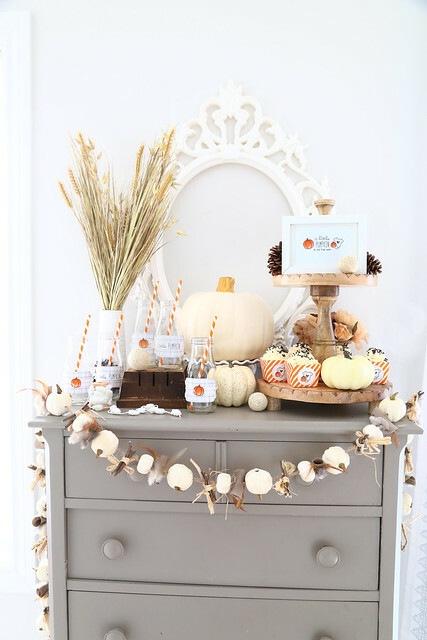 Check out the Lawn Fawn blog this morning for all of the design team's projects - click! 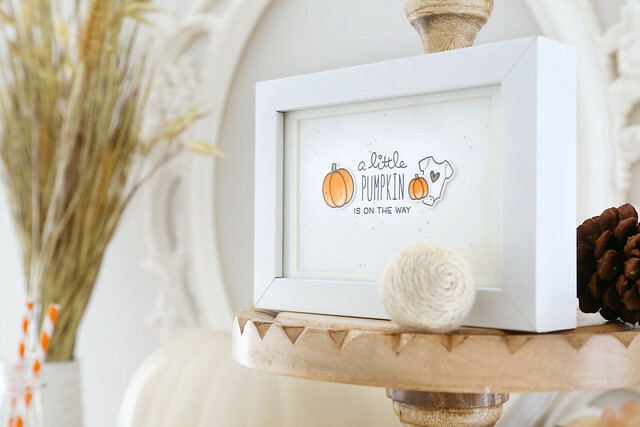 Hi there, and welcome to another day of Lawn Fawn's September inspiration week! 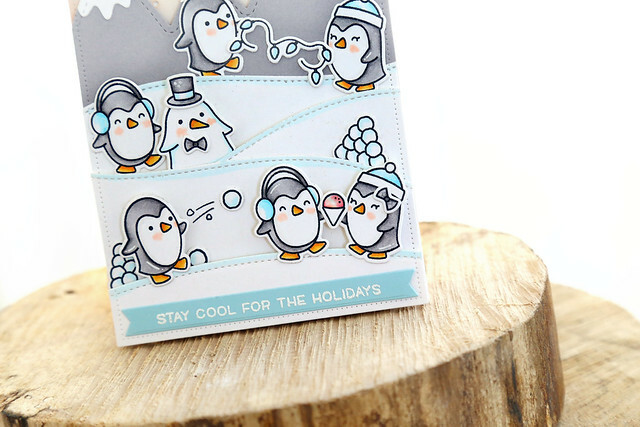 Today, we're showing off the adorable penguins in Snow Cool. For this card, I started out by stamping a whole lot of penguins. I colored them all, and couldn't decide which ones to cut. ha. I threw them all onto the card, creating different mini scenes amid the snow banks. The little couple on the lower right is about to get their date interrupted! I hope you like it! 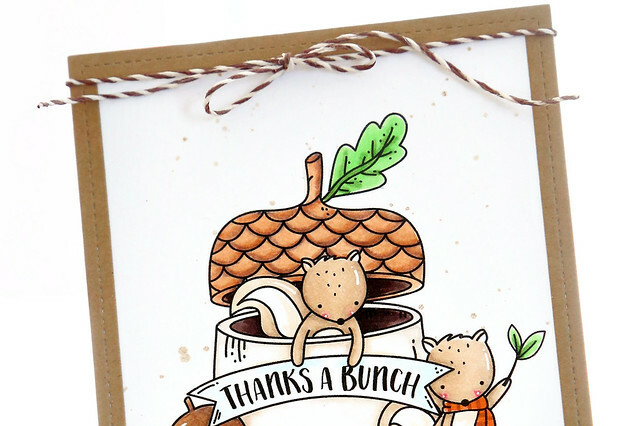 If you'd like to see more of how the card came together, visit the Lawn Fawn blog this morning. 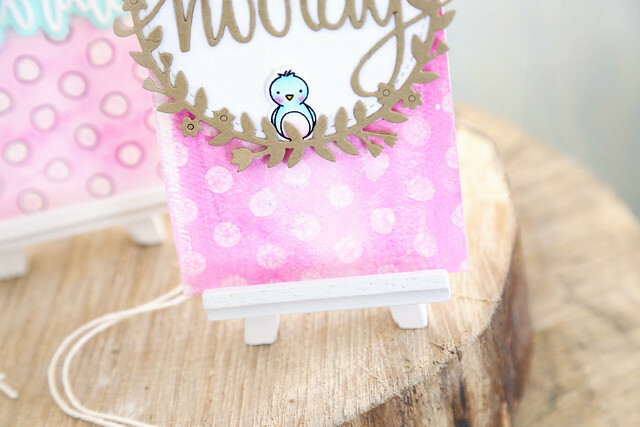 Kelly asked if she could recreate this card for her video this morning - click! Hi there! 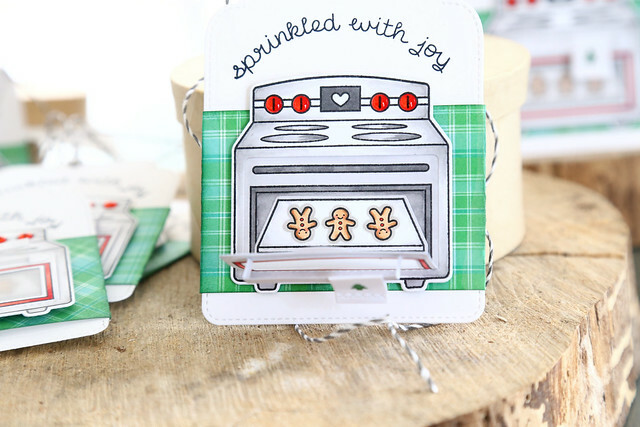 The Lawn Fawn team is showing off the incredible Sprinkled with Joy set, and the add-on die set that lets you create an opening oven. My kids declared the interactive oven "the coolest thing ever." Do I even need to post my tag photos? ha. I love giving tins of holiday cookies to all the neighbors. I think they have come to expect it, along with the handmade tag or card that I use to decorate the packaging. This year's gonna wow them even more. Ta da! I'm kind of in love with this oven. 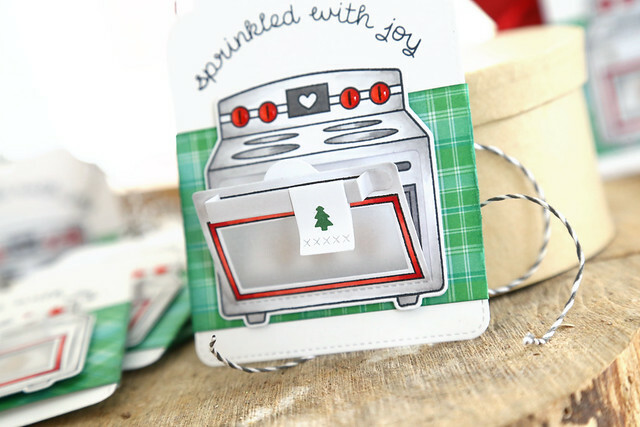 The little touches - like the vellum on the oven door, the tree stamped onto the tea towel, and the very glossy oven knobs - make these tags so special! 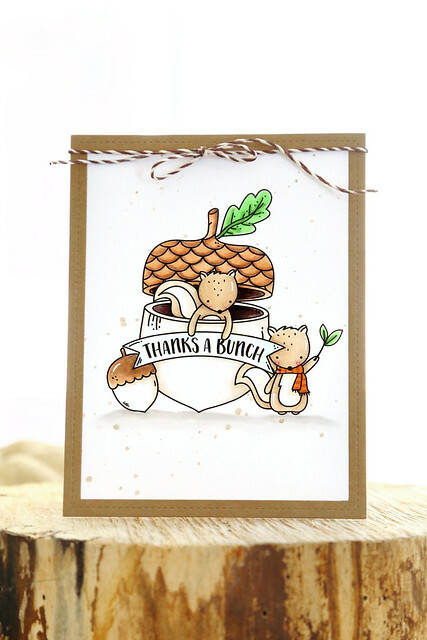 I hope you like them too, and check out the Lawn Fawn blog this morning for more Sprinkled With Joy inspiration - click! 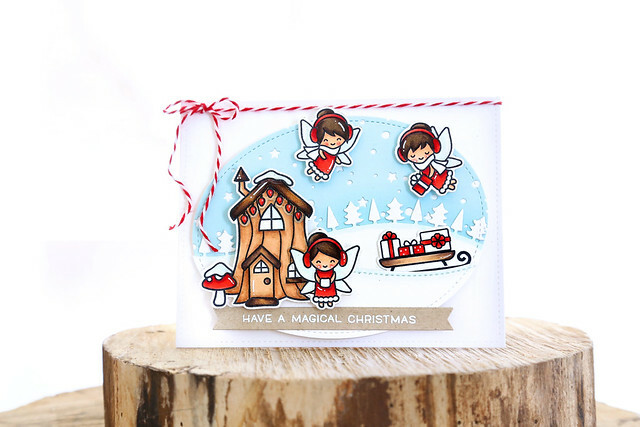 Frosty Fairy Friends is an adorable set, perfect for building scenes like this one! I colored all of the fairies in red and white, gave the sled and fairy house a good, rich brown and kept everything else light and bright. To add extra interest, I went in and added glossy accents to the string of Christmas lights and the fairy wings. It's a small detail, but it really catches the lights and makes the scene more magical! 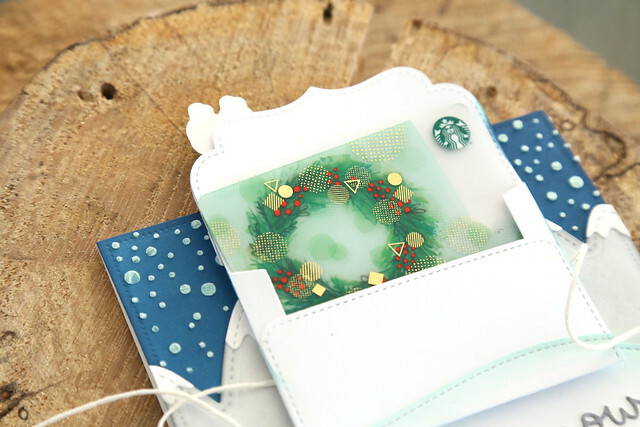 I stamped it in black and use wreath elements from Joy To The World to frame the sentiment. 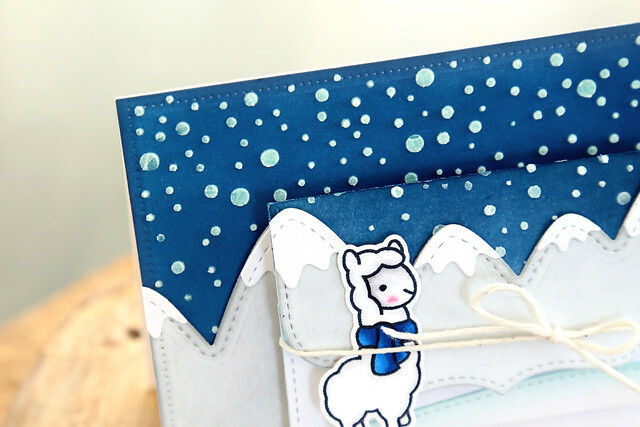 The cute images from Polar Pals made their way onto both of my cards today. It's still a favorite set! I used the same Burst frame die on this card, but in red this time, and heat embossed the sentiment for a different look. Holding hands on a block of ice is my fave! ha. I hope you like my cards for today. 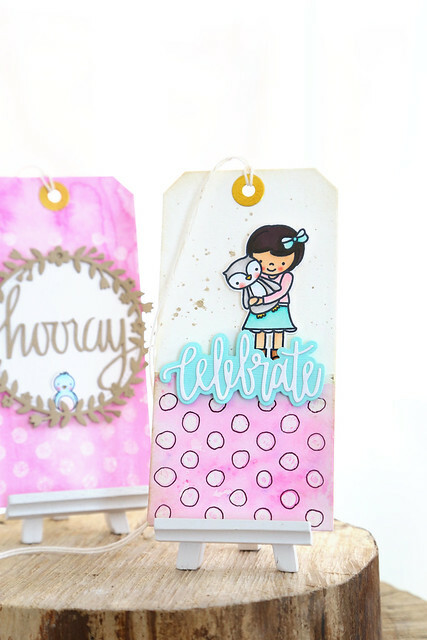 The blog is about to get busy - Lawn Fawn's inspiration week kicks off with their big giveaway today, and the design team starts showing off projects tomorrow. 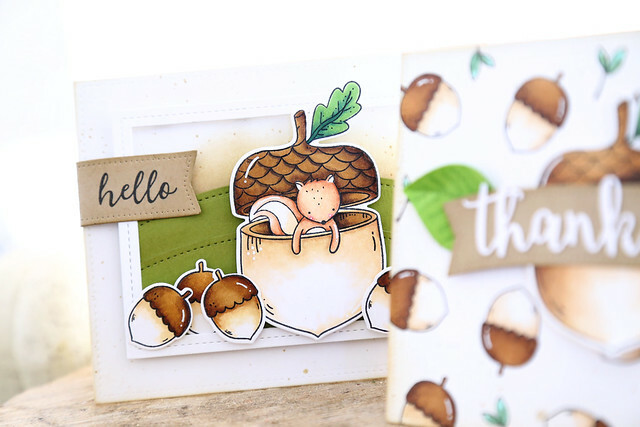 We are celebrating STAMPtember with our friends from Simon Says Stamp today, with a new exclusive set, Nuts About You! There are coordinating dies too! Yay! This is an exclusive set, illustrated by me, and available only at Simon Says Stamp while quantities last. 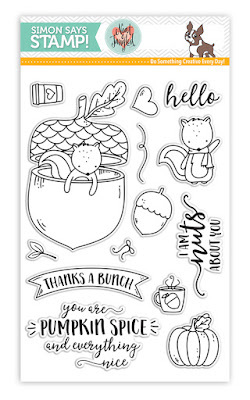 The little squirrel popping out of the giant acorn is my fave, and I've surrounded him with a ton of smaller acorns. I used Lawn Fawn hillside borders to create the rolling hills behind the images, and sponged in some soft brown ink where the hills would meet the sky. 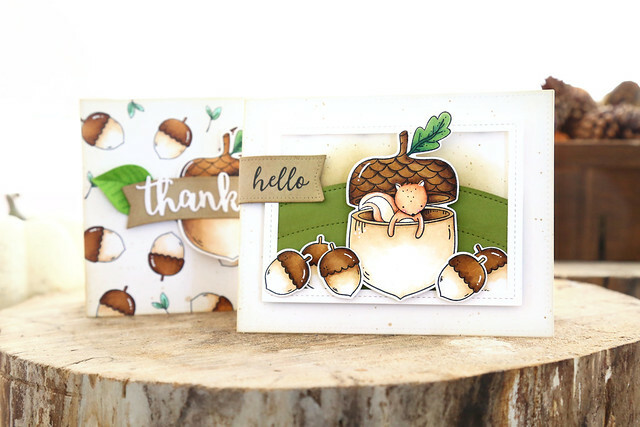 Next, I wanted to show that the giant acorn could be fun even without the critter inside. 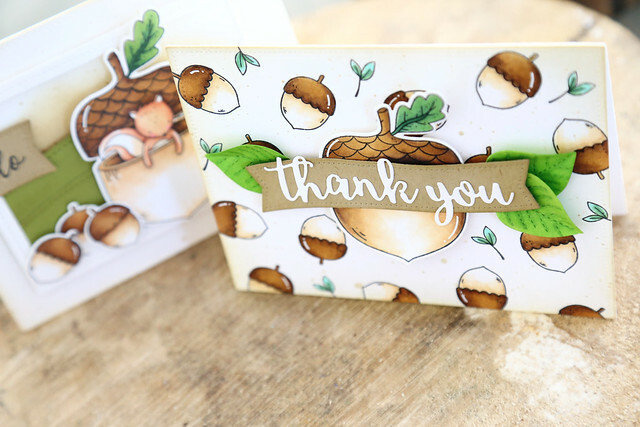 I stamped enough little acorns and stemmed leaf images to fill the card base. I colored them, splattered brown ink over the entire thing and softened all of the edges with the same brown ink. Then, I grabbed a large acorn, colored and cut it out before using scissors to cut it down so that the squirrel wouldn't show. I got carried away and made one last card with this set, using only the stamps. This was such a fun scene to stamp out and color. Some ink splatters again, and that was all I needed to call this card done! I hope you love the set! 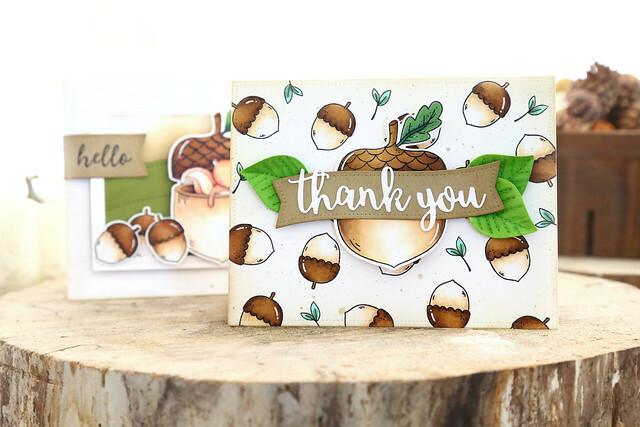 If you'd like to see even more cards I whipped up using this new set, head on over to the Neat and Tangled blog this morning - click! I can't wait to see what you all make with this exclusive set! 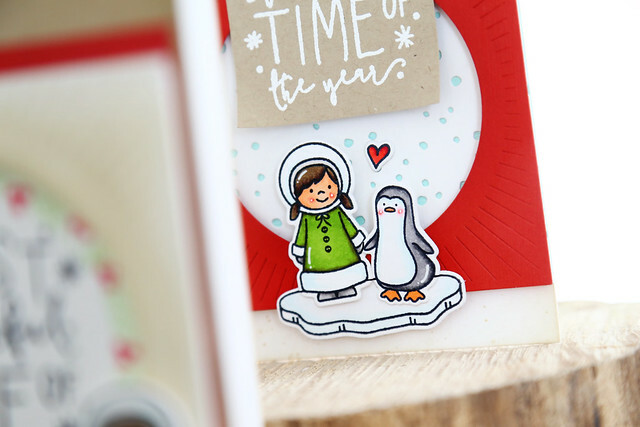 Make sure to also check out the Simon Say Stamp blog for more inspiration, and shop the set and its matching dies only in the Simon Says Stamp store! I'm sharing a few projects here and on the Neat & Tangled blog for our collaboration week with Cosmo Cricket. 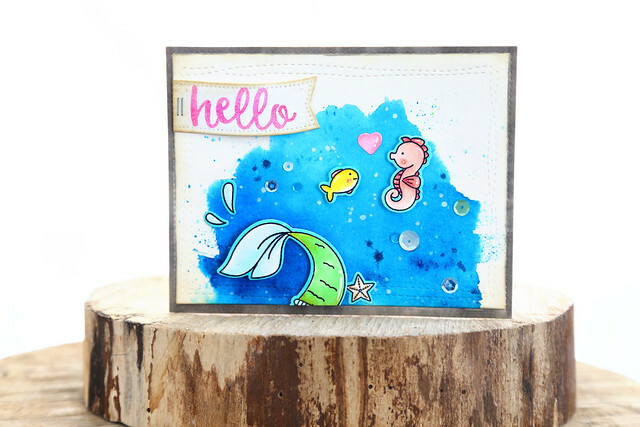 For my first card, I stamped and colored elements from Mermazing and set them against watercolored backdrop. I adore these new products from Cosmo Cricket. They are made for watercoloring dummies like me! I used the watercolor brush to spread a little water around, then sprinkled some Pool Pixie Paint onto the piece, and basically my work was done. Be sure to visit the NT blog for Laura's project, and for the chance to win a Cosmo Cricket prize pack - click! 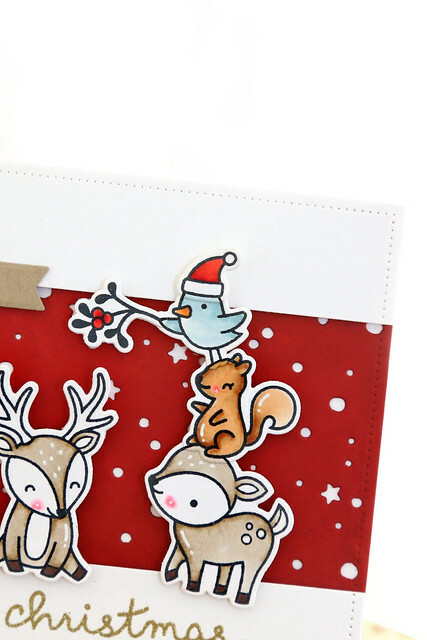 I love mailing holiday cards, so I like to create some non-bulky ones to send out. This whole scene is a one-layer masked wonder, thanks entirely to the MISTI tool. I didn't even break a sweat. I stamped everything onto a grid-lined paper first, ignoring the messy intersecting lines, and then used the MISTI to carefully place and stamp each image just how I wanted it. I added masks as I went along. 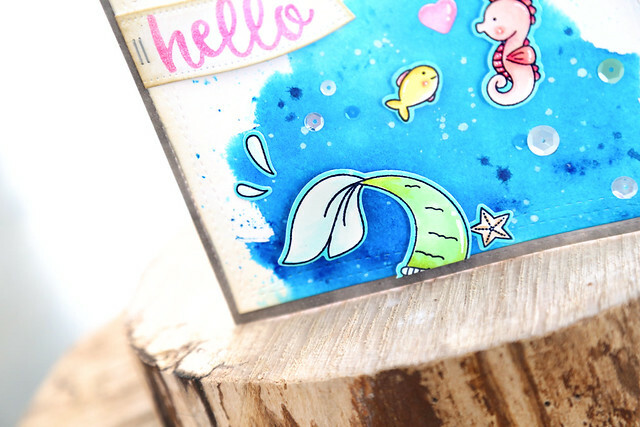 Once the scene was stamped out, I used a post-it strip to cover the top and did some ink-blending with Lawn Fawn's Merman ink to add some grounding. 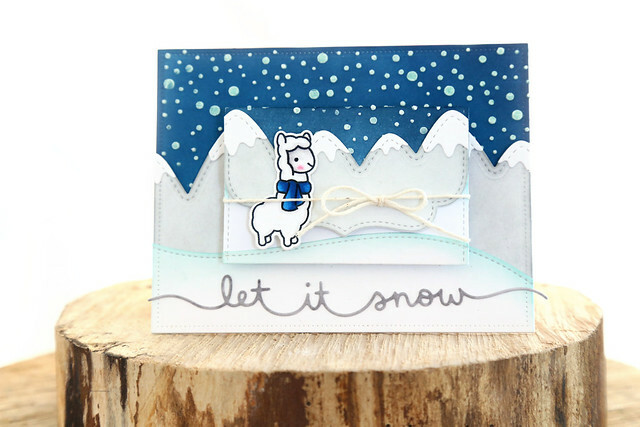 It's hard to see in the photo, but I also added a snowy sky to the top of the card by using Lawn Fawn's Snowy Backdrop as a stencil. I hope you like it! Get your set quick before it sells out!